SnapCacklePop: Fifth Harmony is In Love With A Monster..! 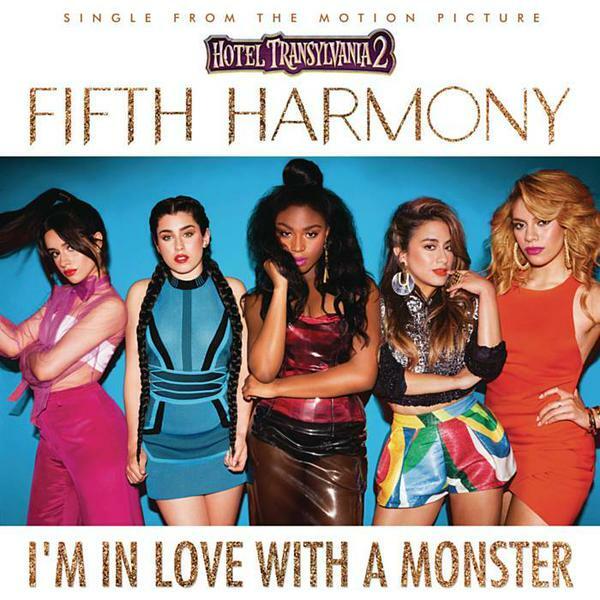 Fifth Harmony is In Love With A Monster..! Fresh from appearing on stage with arguably the worlds biggest artist Taylor Swift, comes the latest from world dominating girl group Fifth Harmony. The lead single and theme from Hotel Transylvania 2, this great new track should open up the girls to a whole new fan base as the original Hotel Transylvania was a big hit taking over $350 million around the world. The movie features some pretty big stars with Adam Sandler, Selena Gomez, Andy Samberg, Mel Brooks, Kevin James, Steve Buscemi and David Spade all supplying their voices. With a big band jazzy sound featuring deep beats and brass band amazingness, I'm In Love With A Monster really makes you want to groove and get down with the girls from Fifth Harmony... and if you really concentrate, Taylor Swift is there too!! We really hope you enjoy I'm In Love With A Monster as much as we do..!